Some project designer from Swiss watchmaker Tag Heuer must have gone to an F1 race with their Android phone and had an epiphany. 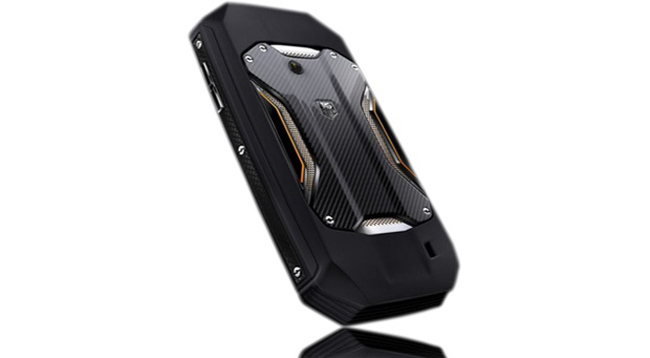 What if you took a race car and made it into a phone; carbon fiber, metal and titanium included? What you have is the Tag Heuer Racer and one really, really high price tag. Sure it may be “avant-garde communication” but is it worth €2800 ($3670)? Tag Heuer is no stranger to high-priced Android phones. In fact, the quote we used last time was “Android OS is like hot sauce, they put that sh*t on everything!” Nevertheless, I am sure that there will be someone out there that will buy this phone. We have no word on specs for the phone, all we are told is that it will be running the latest Android software and will have “new customizable 3D user interface to fit the individual needs of each owner,” whatever that means. These will only be sold in Tag Heuer shops so if your heart is racing looking at this phone, be ready sometime in July.